Things have really been on the rise for customers with solar this week. Not only did increase the Solar Feed-in Tariff across VIC, NSW and South East QLD on 1 July 2017 (find your tariffs here), we’ve been working on a super exciting new function for your online account. 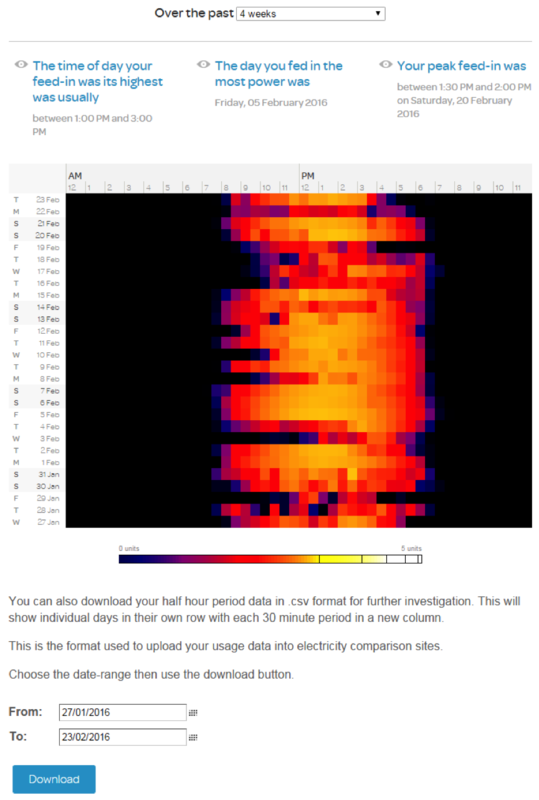 If you jump into your online account right now, you’ll see that there is a new Heat Map that reflects the impact of your solar generation, which means you can keep an eye on the energy you’re feeding into the grid and use this info to make decisions about your energy usage. Head to your Usage tab, and you’ll see a new option for ‘Feed-in Patterns’. You’ll find full historical data for your solar gen (for as long as you’ve been with Powershop), and be able to see the variations in the energy you’re feeding in depending on things like the season or the weather. Each coloured square of the chart is one half hour period of one day. A brighter square is a higher feed-in half hour and a darker square is a lower feed-in. Insight from these patterns can help you understand where you may be able to become more energy efficient so you can save money and power. Powershop customers with solar have access to the same great rates and discounts available to all our customers, with no hidden fees or surprises. If you’d like to be with an energy company that loves solar, switch now.